Maltodextrin, cellulose, modified cellulose, stearic acid, silica, glycerin. Maltodextrin, cellulose, modified cellulose, stearic acid, silica and glycerin. Ideal for Hands, Wrists, Knees, Back, Neck, Elbows, Hips and Ankles. 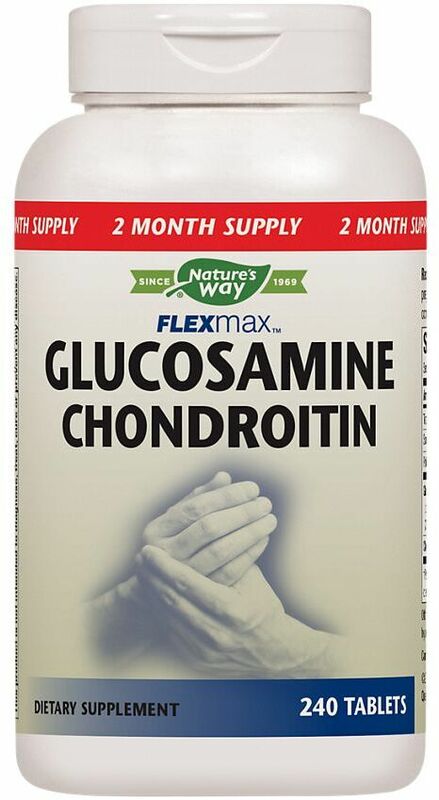 Glucosamine Sulfate, lubricates damaged joint tissue by providing nutrient flow to tissue and cartilage. 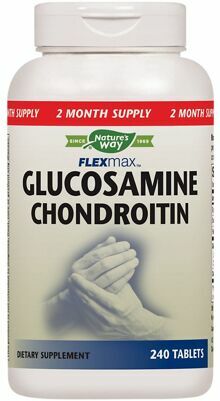 Chondroitin sulfate is one of the most abundant components of articular cartilage, a key component for healthy joints. Take two tablets two times daily. Nature's Way FlexMax can be comfortably taken at any time of the day with or without a meal.